Infosys crisis blows up as Infy board backs Vishal Sikka, slams Narayana Murthy: Who is saying what? The turn of events at Infosys in the past few hours have been dramatic with Vishal Sikka announcing his resignation and the Infosys board putting the blame squarely on Narayana Murthy for Sikka's exit. Vishal Sikka seems to have managed to find a graceful exit by resigning despite the support of Infosys board. In the process, at least for now, Sikka has made the founders of the company look unaccommodating and unamenable. In his resignation letter, he took a dig at the founders, without naming anyone, for not offering support. He said in the letter that the situation was "amplified by the very people from whom we all expected the most steadfast support in this great transformation". "The distractions that we have seen, the constant drumbeat of the same issues over and over again, while ignoring and undermining the good work that has been done, take the excitement and passion out of this amazing journey," Sikka wrote in the letter. He called the accusations levelled against him "baseless and malicious" and "extremely personal". In a press conference later, Sikka said the situation had become "untenable" for him to continue as the CEO. The Infosys board's strong defence of Vishal Sikka, after his decision to quit as the CEO of the company, clearly suggests that the battle between Infosys founders and the management is far from over. Infosys board statement, soon after Sikka announced his resignation, has directly blamed Narayana Murthy for Sikka's exit. "Murthy's continuous assault, including this latest letter, is the primary reason that the CEO, Vishal Sikka, has resigned despite strong Board support," the statement said. The board's statement makes reference to an e-mail in which Murthy questioned Sikka's competency as the CEO of Infosys. The board has said that Murthy's email was filled with factual inaccuracies and out-of-context statements. The statement strongly criticised Murthy for carrying out a "misguided campaign" against Sikka. "The Board believes it must set the record straight on the false and misleading charges made by Murthy because his actions and demands are damaging the company," the statement read. How Narayana Murthy has responded? Narayana Murthy has made a statement in response to the board's allegations of carrying out a campaign against Sikka. Murthy has said that he will respond to the allegations in "right manner, right forum and at an appropriate time". "I am extremely anguished by the allegations, tone and tenor of the statements. I voluntarily left the board in 2014 and am not seeking any money, position for children or power. 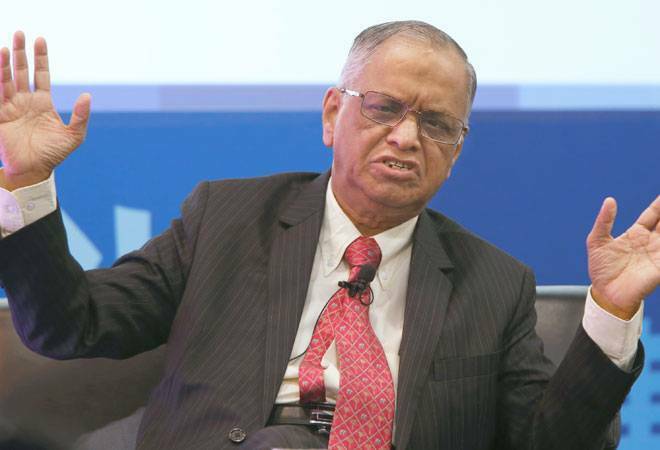 My concern primarily was the deteriorating standard of corporate governance which I have repeatedly brought to the notice of the Infosys board," Murthy said in a statement. He further added: "Several shareholders who have read the whistle-blower report have told me that it is hard to believe a report produced by a set of lawyers hired by a set of accused, giving a clean chit to the accused, and the accused refusing to disclose why they got the clean chit!"